From the time of Jesus, Baptism has been the rite of initiation and incorporation into Christ’s Body, the Church. It is the sacrament that makes one a Christian, makes them a child of God and an inheritor of the kingdom of heaven. There is no better way for parents to declare their intention of giving their child a Catholic upbringing and granting to them God’s indissoluble blessing. The Old Catholic Church of BC is the spiritual home for many people because of their baptism at our Church. We are a missionary Church, and therefore have also many adult baptisms. Contact St. Raphael’s Old Catholic Church or any other Old Catholic Church and arrange to talk with a Priest. The Priest will help you in arranging the details and a suitable time for the baptism. In Holy Baptism the Triune God delivers us from the forces of evil, puts our sinful self to death, gives us new birth, adopts us as children, and makes us members of the body of Christ, the Church. Holy Baptism is received by faith alone. Baptism was given to the Church by Jesus Christ in the “great commission,” but also in his own baptism by John and in the baptism of the cross. A person is baptized once. Because of the unfailing nature of God’s promise, and because of God’s once-for-all action in Christ, Baptism is not repeated. By God’s gift and call, all of us who have been baptized into Christ Jesus are daily put to death so that we might be raised daily to newness of life. God, whose grace is for all, is the one who acts in Baptism. Therefore candidates for Baptism are of all ages. Some are adults and older children who have heard the Gospel of Jesus Christ, declare their faith, and desire Holy Baptism. 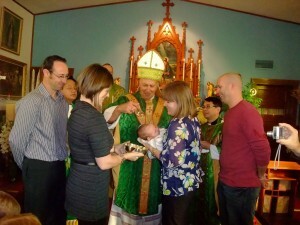 Others are the young or infant children of active members of the parish or those children for whom members of the parish assume to be Godparents. Baptism includes instruction and nurture in the faith for a life of discipleship. 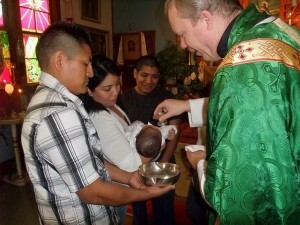 Both adults and infants benefit from having baptismal Godparents. 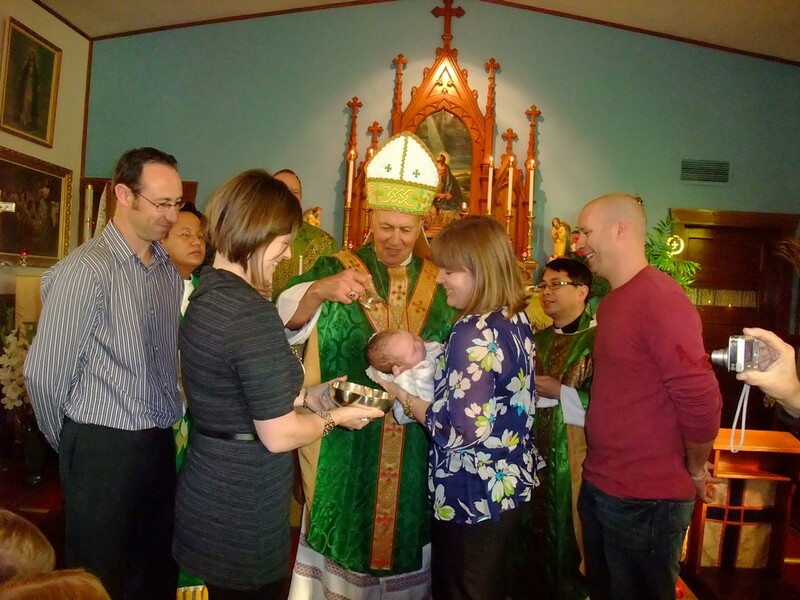 The primary role of the Godparents is to guide and accompany the candidates and, so far as possible, their families in the process of instruction and Baptism. They help the baptized join in the life and work of the community of believers for the sake of the world. Candidates for Holy Baptism, Godparents, and a Priest gather together with the parish for the celebration of Baptism within the corporate worship of the Church. 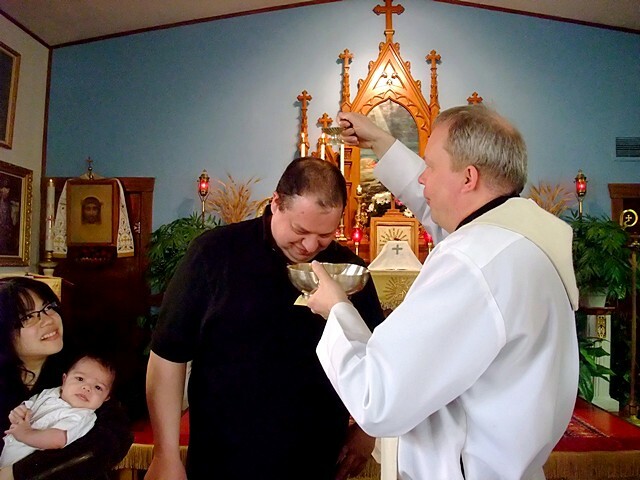 A Priest presides at Holy Baptism. In cases of imminent death, any Christian may baptize a person. Should sudden death prevent Baptism, we commend the person to God with prayer, trusting in God’s grace. We seek to celebrate Baptism in such a way that the celebration is a true and complete sign of the things which Baptism signifies. Water is a sign of cleansing, dying, and new birth. It is used in Holy Baptism to symbolize God’s power over sin and death. The laying on of hands and prayer for the Holy Spirit’s gifts, the signing with the cross, and the anointing with oil help to appropriate the breadth of meanings in Baptism. Other symbolic acts are the clothing with a baptismal garment and the giving of a lighted candle. In Baptism people become members not only of the Church universal but also of a particular parish. Therefore all baptisms are entered into the permanent records of the parish and certificates are issued at the time of the administration of the sacrament.